As a 14,000 member professional organization which promotes excellence in scholarship, teaching, and the practice of art history, criticism and studio art, CAA regrets Emory University’s decision to close its department of Visual Arts and re-locate the tenured Visual Arts faculty members in other departments. However, Emory’s administration has done so with the input of appointees from the College of Arts and Sciences’ Faculty Governance Committee, and as part of a responsible and careful look at its entire academic offerings. CAA understands that the university has decided to close the departments of Visual Arts, Educational Studies and Physical Education, and the program in Journalism in order to put its resources into building upon its strengths, as part of a long-term plan developed over several more than four years. Emory University has an accredited art history department that offers ancient through contemporary art history and archeology courses through a doctoral level. CAA looks forward to hearing more about the developments at Emory and how visual arts education will be addressed in the future. 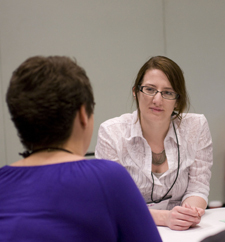 As a CAA member, you have access to a diverse range of mentors at Career Services during the 101st Annual Conference, taking place February 13–16, 2013, in New York. All emerging, midcareer, and even advanced art professionals can benefit from one-on-one discussions with dedicated mentors about artists’ portfolios, career-management skills, and professional strategies. You may enroll in either the Artists’ Portfolio Review or Career Development Mentoring—please choose one. Participants are chosen by a lottery of applications received by the deadline; all applicants are notified of their scheduled date and time slot by email in early 2013. Both sessions are offered free of charge. Conference registration, while encouraged, is not necessary to participate. All applicants must be current CAA members. The Artists’ Portfolio Review offers CAA members the opportunity to have digital images or DVDs of their work reviewed by artists, critics, curators, and educators in personal twenty-minute consultations. Whenever possible, CAA matches artists and mentors based on medium or discipline. You may bring battery-powered laptops; wireless internet, however, is not available in the room. Sessions are filled by appointment only and are scheduled for Thursday, February 14, and Friday, February 15, 2013, 8:00 AM–NOON and 1:00–5:00 PM each day. To apply, download and complete the Career Development Enrollment Form or fill out the paper form in the 2013 Conference Information and Registration booklet, which will be mailed to all individual and institutional CAA members in October 2012. Send the completed form by email to Lauren Stark, CAA manager of programs; by fax to 212-627-2381; or by mail to: Artists’ Portfolio Review, College Art Association, 50 Broadway, 21st Floor, New York, NY 10004. Deadline extended: January 18, 2013. Artists, art historians, art educators, and museum professionals at all stages of their careers may apply for one-on-one consultations with veterans in their fields. Through personal twenty-minute consultations, Career Development Mentoring offers a unique opportunity for participants to receive candid advice on how to conduct a thorough job search; present cover letters, CVs, and digital images; and prepare for interviews. Whenever possible, CAA matches participants and mentors based on medium or discipline. Sessions are filled by appointment only and are scheduled for Thursday, February 14, and Friday, February 15, 2013, 8:00 AM–NOON and 1:00–5:00 PM each day. To apply, download and complete the Career Development Enrollment Form or fill out the paper form in the 2013 Conference Information and Registration booklet, which will be mailed to all individual and institutional CAA members in October 2012. Send the completed form by email to Lauren Stark, CAA manager of programs; by fax to 212-627-2381; or by mail to: Career Development Mentoring, College Art Association, 50 Broadway, 21st Floor, New York, NY 10004. Deadline extended: January 18, 2013. Committees are active at the Annual Conference in February, where each presents one or two sessions on a subject of its choosing. These sessions, sometimes collaborations between committees and sometimes dealing with workforce issues, are meant to be of immediate value to CAA members. Also at the conference, the committees hold face-to-face business meetings and discuss the past year’s accomplishments while targeting ideas for future projects. Participation on a committee is an excellent and fruitful way to network with other CAA members, and for some individuals it is a stepping-stone to service on the organization’s Board of Directors. Online, the Committee on Women in the Arts publishes the monthly CWA Picks of exhibitions and events related to feminist art and scholarship, among other activities. Last year, the Museum Committee conducted a survey of museum-based members; it also advocates greater access to museum image collections. After conducting a survey of its own, the International Committee warmly welcomed and hosted twenty travel-grant recipients who attended the Los Angeles conference from around the world. Nominations and self-nominations should include a brief statement (no more than 150 words) describing your qualifications and experience and an abbreviated CV (no more than 2–3 pages). Please send all materials to Vanessa Jalet, CAA executive liaison. Deadline: October 12, 2012. In its monthly roundup of obituaries, CAA recognizes the lives and achievements of the following artists, curators, designers, photographers, filmmakers, and other men and women whose work has had a significant impact on the visual arts. This month was marked by the loss of the art historian Natalie Boymel Kampen, Magnum photographer Martine Franck, and the young Egyptian artist Amal Kenawy. CAA has published a special obituary for Kampen. Natalie (Tally) Boymel Kampen, a pioneering feminist scholar and professor of Roman art history and gender studies, died on August 12, 2012, at her home in Wakefield, Rhode Island. She was 68 years old. Kampen taught graduate courses on the ancient world at Columbia University and undergraduate courses in feminist theory and gender studies at Barnard College, where she was the first faculty member to hold the endowed Barbara Novak chair in Art History and Women’s Studies, and became professor emerita in 2010. She was most recently a visiting professor of Roman art and architecture at the Joukowsky Institute for Archaeology and the Ancient World at Brown University and helped to administrate a Getty Foundation grant sponsoring international study of the art and architecture of the Roman provinces. She was one of the world’s most notable experts on the history of the Roman provinces. An internationally recognized teacher and scholar, Kampen was a research fellow at Oxford University in 2000, received the 2004 Felix Neubergh Medal at the University of Gothenburg in Sweden, and was a visiting professor of art history at Jawaharlal Nehru University in New Delhi, India, in 2010. As a senior scholar she was interested not only in promoting the careers of her Columbia students but also mentored graduate students from Eastern Europe, South Asia, and the Middle East. Kampen’s books include Image and Status: Roman Working Women in Ostia (Berlin: Mann, 1981) and Family Fictions in Roman Art (New York: Cambridge University Press, 2009). She was the editor of Sexuality in Ancient Art (New York: Cambridge University Press, 1996) and the author of numerous articles and chapters in scholarly journals, encyclopedias, and books, including Art Journal, American Journal of Archaeology, The Art Bulletin, and The Art of Citizens, Soldiers, and Freedmen in the Roman World (Oxford: British Archeological Reports, 2006), edited by Guy P. R. Métraux and Eve D’Ambra. Kampen served as chair of the Art Bulletin Editorial Board from 2009 to 2010. To mark the occasion of CAA’s Centennial in 2011, she helped compile the anthology of essays published in the journal from 1913 to the present; her informative introductory essay traces the inclusion of writers who were women and people of color as the century progressed. Kampen was born on February 1, 1944, in Philadelphia, the daughter of Jules and Pauline (Friedman) Boymel. She was an enthusiastic supporter of left-wing causes from the 1950s to the present and played a key role in the struggle for women’s rights, in academia and beyond. As a dedicated scholar and pioneer in the field of women’s studies she raised several generations of women’s consciousness. Kampen received her BA and MA from the University of Pennsylvania in 1965 and 1967 and her PhD from Brown University in 1976. She taught art history at the University of Rhode Island from 1969 to 1988, where she helped to found one of the first women’s studies programs in New England and became a lifelong patron of the Hera Gallery, a feminist artists’ collective in Wakefield, Rhode Island. Kampen was an avid horseback rider and a lifelong owner of Labrador dogs. She was married to Michael Kampen from 1965 to 1969 and to John Dunnigan from 1978 to 1989. In all her pursuits, scholarly and otherwise, her generosity was extraordinary. She was famous as a beloved friend and colleague who nurtured lifelong friendships, forged groups of strangers into friends, and could change a person’s perspective on life after only an hour’s acquaintance in an airport. Even after the onset of her final illness, Kampen led a group of younger scholars to Greece, determined to work with them while she was still able to. Natalie Boymel Kampen is survived by her sister, Susan Boymel Udin; her brother-in-law David; and her niece and nephew, Rachel and Michael Udin. Contributions can be made in Kampen’s name to Rhode Island Community Food Bank, 200 Niantic Avenue, Providence, RI 02907. Working as a projectionist or room monitor at the 101st Annual Conference, taking place February 13–16, 2013, in New York, is a great way to save on conference expenses. All candidates must be US citizens or permanent US residents. CAA encourages students and emerging professionals—especially those in New York, New Jersey, and Connecticut—to apply for service. CAA seeks applications for projectionists for conference program sessions. Successful applicants are paid $12 per hour and receive complimentary conference registration. Projectionists are required to work a minimum of four 2½-hour program sessions, from Wednesday, February 13 to Saturday, February 16; they must also attend a training meeting on Wednesday morning at 7:30 AM. Projectionists must be familiar with digital projectors. Please send a brief letter of interest to Lauren Stark, CAA manager of programs. Deadline: December 14, 2012. CAA needs room monitors for two Career Services mentoring programs (the Artists’ Portfolio Review and Career Development Mentoring), several offsite sessions, and other conference events, to be held from Wednesday, February 13 to Saturday, February 16; they must also attend a training meeting on Thursday morning at 7:30 AM. Successful candidates are paid $12 per hour and receive complimentary conference registration. Room monitors are required to work a minimum of eight hours, checking in participants and facilitating the work of the mentors. Please send a brief letter of interest to Lauren Stark, CAA manager of programs. Deadline: December 14, 2012. 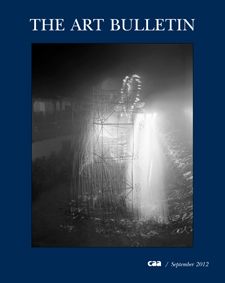 The September 2012 issue of The Art Bulletin, the leading publication of international art-historical scholarship, presents the third installment of its new feature series that will continue for two more volume years. In Regarding Art and Art History, Richard Shiff analyzes the role of interpretation in writing about art through the prism of Meyer Schapiro and Clement Greenberg’s different approaches to the topic. The subject of this issue’s Notes from the Field is contingency, with texts by eleven artists, scholars, professors, and philosophers: Linda Connor, Giovanna Borradori, Marcia Brennan, Mary Ann Doane, Angus Fletcher, Peter Geimer, Gloria Kury, Mark Ledbury, C. Brian Rose, Frances Spalding, and Chris Spring. A photograph based on Connor’s 2010 film Fireworks for the Virgin, shot in Peru, appears on the cover. In the issue’s Interview, James Ackerman converses with Cammy Brothers about how recent trips to Turkey, Egypt, and India have affected his outlook on teaching architectural history. Ackerman, editor of The Art Bulletin from 1956 to 1959, also describes his formative years as a student at Yale University and his teaching career at Harvard University. The September issue also features four essays that cover a wide range of art-historical topics and time periods. Jaś Elsner explores a transformative moment in the eighth century, when the icon was considered entirely as representation, and analyzes the debates that precipitated this moment among Christians, Jews, Muslims, and pagans. In her essay “Francesco Rosselli’s Lost View of Rome: An Urban Icon and Its Progeny,” Jessica Maier reconstructs Rosselli’s monumental engraving of Rome and analyzes the work as a marker of high innovation in Renaissance print culture. Elizabeth Kindall discusses how the seventeenth-century Chinese artist Huang Xiangjian moved to an experiential reading of the handscroll format and how this shift from a traditional, linear reading culminated in a panoramic “grand view.” In his essay “Architecture and Crime: Adolf Loos and the Culture of the ‘Case,’” Frederic J. Schwartz takes a close look at two widely publicized trials involving the modern Viennese architect Adolf Loos, demonstrating the implications of these encounters with criminality for Loos’s architecture practice and theory and their importance in the wider public sphere. The books under review in this issue represent a broad cross-section of art-historical scholarship. Philippe Morel assesses Alessandro Nova’s The Book of the Wind: The Representation of the Invisible, and Carl Brandon Strehlke reviews eight books published within the last seven years on the Italian Renaissance painter Giotto. Ariella Azoulay looks at Martin A. Berger’s Seeing through Race: A Reinterpretation of Civil Rights Photography. Finally, Matthew Simms reviews two new volumes on Willem de Kooning, Richard Shiff’s Between Sense and de Kooning and the catalogue for the Museum of Modern Art’s 2011 retrospective of the artist, edited by John Elderfield, the exhibition’s curator. CAA sends The Art Bulletin to all institutional members and to those individuals who choose to receive the journal as a benefit of their membership. The next issue of The Art Bulletin, to be published in December 2012, will feature Rebecca Zorach’s reflections on politics and teaching in Regarding Art and Art History, the texts collected in Notes from the Field will be on the topic of detail, and the Interview will feature a conversation between the German art historian Horst Bredekamp and Christopher Wood. The long-form essays include a new interpretation of the Judgment of Paris myth as it is depicted in Roman wall paintings; a close reading of the Italian Renaissance sculptor Filarete’s Hilaritas, a bronze relief on the doors of Saint Peter’s Basilica in the Vatican; a consideration of Caravaggio’s signature in Beheading of Saint John the Baptist; an analysis of a Central American painting from the mid-1680s; and an exploration of the unpublished papers of the nineteenth-century English connoisseur George Scharf. The Reviews section will include analyses of books on Islamic museum installation, Inka stonework, Andean architecture, European painterly virtuosity, Rajput painting, and a new American museum. The 2012 George Wittenborn Memorial Book Award Committee of the Art Libraries Society of North America (ARLIS/NA) welcomes submissions of notable art books published in North America during 2012. This prestigious award is presented annually to publications demonstrating excellence in art publishing. Established by ARLIS/NA in 1980, the award honors the memory of George Wittenborn (1905–1974), a premier New York art-book dealer and publisher who was a strong supporter of ARLIS/NA in its formative years. Each year, eligible titles are evaluated for excellence in standards of content, documentation, layout, and format. From these titles, one exemplary publication will be chosen to receive the George Wittenborn Memorial Book Award. Titles eligible for consideration include books (print and electronic), exhibition catalogues, and new periodical titles in any language, published in 2012 and originating from a North American publisher. Publications submitted by foreign publishers with North American offices must have been authored or edited in North America. The book-selection guidelines, entry form, and application address can all be found online. The deadline for consideration is December 31, 2012; the presentation of the awards will take place in April 2013 during the ARLIS/NA forty-first annual conference in Pasadena, California. The Association for Modern and Contemporary Art of the Arab World, Iran, and Turkey (AMCA) held its second annual conference, “The Longevity of Rupture: 1967 in Art and Its Histories,” at the American University in Beirut. Lebanon, on June 1–2, 2012. AMCA is currently accepting submissions for the Rhonda A. Saad Prize for Best Graduate Paper in Modern Arab Art, 2012. In its second year, the award aims to recognize and promote excellence in the field of modern and contemporary Arab art. The prize is offered to a graduate student working in any discipline whose paper is judged to provide the most significant contribution to Middle Eastern studies and art history. Submissions must have been produced between June 2011 and September 2012, must not exceed thirty-five pages (excluding notes and bibliography), and must not have been previously published or be currently under consideration for publication. Submissions are due by September 30, 2012, and should be emailed to info@amcainternational.org. The winner will be announced during the AMCA members meeting, held at the Middle East Studies Association annual meeting in Denver, Colorado, in November 2012. Join the Association of Historians of American Art (AHAA) on October 11 to 13, 2012, for its second symposium, “American Art: The Academy, Museums, and the Market,” in Boston, Massachusetts. The keynote speaker is Holland Cotter, art critic for the New York Times. The Boston Athenaeum and Boston University will host the sessions; additional events include a special viewing of the newly installed Art of the Americas wing at the Museum of Fine Arts, Boston, and a reception at the Boston University Art Gallery. The full symposium schedule of speakers and registration information can be found at the conference website. Hurry! Registration is only open until September 15, 2012, and there are a limited number of spaces available. For more information, please contact the symposium cochairs, David Dearinger and Melissa Renn. The Historians of British Art (HBA) has moved up the application deadline of its annual travel grant in order to give the successful applicant more lead-up time to plan his or her travel in calendar year 2013. This grant of $750 is intended to help offset travel costs incurred by a graduate-student member of HBA who will be presenting a paper on British visual culture at an academic conference. To apply, please send a letter of request, a copy of the letter of acceptance from the organizer of the conference session, an abstract of the paper to be presented, a budget of estimated expenses (noting what items may be covered by other resources), and a CV to Renate Dohmen, grant committee chair. The deadline for the 2013 application is September 15, 2012, with notification to the winner by October 15, 2012. An annual student membership in HBA is only $15; consider joining today. The next formal deadline for submitting manuscripts to the Journal of Historians of Netherlandish Art, the peer-reviewed, open-access ejournal published by the Historians of Netherlandish Art (HNA), is March 1, 2013. In addition to longer articles, the journal now welcomes shorter notes on archival discoveries, iconographical issues, technical studies, and rediscovered works. Please review the submission guidelines or contact the journal’s editor-in-chief, Alison Kettering, for more information. The Historians of Islamic Art Association (HIAA) would like to remind fellow CAA affiliates and members that registration for our third biennial symposium, “Looking Widely, Looking Closely,” hosted by the Metropolitan Museum of Art in New York, October 18–20, 2012, remains open. HIAA is pleased to offer a reduced rate for student members ($35). For more information about the symposium program, and about travel accommodations in New York, please visit the HIAA website. The International Sculpture Center (ISC) is accepting nominations for the 2013 Outstanding Educator Award, which recognizes individual artist-educators who have excelled at teaching sculpture in institutions of higher learning. Candidates for this award are master sculptors who have devoted their careers to the education of the next generation and to the advancement of the sculpture field as a whole. Nominations for the award will be accepted from September 3 through October 26, 2012. Anyone can nominate a qualified educator: submissions are not limited to United States participants, and international submissions are welcomed and encouraged. Award recipients receive benefits such as a featured article in Sculpture, a lifetime ISC professional-level membership, and an award ceremony to be held at their academic institution. Educational institutions of awardees also receive benefits, including recognition in Sculpture and a one-year ISC university-level membership. The Leonardo Education and Art Forum (LEAF) has welcomed David Familian as its new chair-elect. Familian, an artist and educator, has served as the artistic director of the Beall Center for Art and Technology at the University of California, Irvine, since 2005. He has curated one-person exhibitions of Shih Chieh Huang, Golan Levin, Rafael Lozano-Hemmer, Chico MacMurtrie, Jennifer and Kevin McCoy, Nam June Paik, and Victoria Vesna. LEAF seeks contributions to a scholarly project that examines interdisciplinary curricula that span the art, science, and humanities fields. Interested participants should send examples of courses and curricula in areas such art and biology, music and mathematics, art and chemistry, dance and environmental sciences, and similar pairings. The project, a relaunch of a similar call issued in 2009, is spearheaded by Roger Malina, Leonardo executive editor, and Kathryn Evans, a doctoral student at the University of Texas at Dallas. Please address all questions and syllabi or curricula information to Kathryn Evans. Jill Scott of Z-Node and Ellen K. Levy, former chair of LEAF and an advisor for the Institute for Doctoral Studies in the Visual Arts, are cochairs of a panel for the eighteenth International Symposium on Electronic Art (ISEA), taking place September 19–24, 2012, in Albuquerque, New Mexico. Their panel, “Synaptic Scenarios for Ecological Environments,” will addresses cognitive issues in relation to ecology with the goal of gaining a greater embodied sense of place within the ecological environment. Another ISEA panel is “Eco-Art + the Evolving Landscape of Social and Situated Practices,” moderated by Patricia Olynyk, an artist and LEAF chair. The panel will focus on education and the complex triad of ecoart, situated practices, and project-based public work that embrace various democratic processes and inspire progressive social, cultural, and environmental change. “Breaking Tradition: Rethinking the Economy of Learning,” an education workshop for ISEA 2012 convened by Nina Czegledy, former chair of LEAF, will discuss the latest developments of educational policy investigations and evaluate the role of educational research and existing educational business strategies, financial modeling, and risk management. Olynyk and Adrienne Klein, incoming LEAF cochair, will moderate the panel “Art and Medicine: Reciprocal Influence” at the 2013 CAA Annual Conference in New York, taking place February 13–16, 2013. Their panel will explore the impact of medicine on artistic practice, of creative process on medical research, and of the idea of the artist’s body as subject matter. Joseph Lewis III of the University of California, Irvine, will moderate a second panel at the CAA conference, called “Re/Search: Art, Science, and Information Technology (ASIT): What Would Leonardo da Vinci Have Thought?”. Save the date for the Mid-America College Art Association (MACAA) biannual conference, taking place October 3–6, 2012, in Detroit, Michigan. The James Pearson Duffy Department of Art and Art History at Wayne State University will host the conference in downtown Detroit. Programming will include three featured speakers; panel presentations in art, design, art history, and visual resources; and studio workshops, MACAA member exhibitions, and museum visits. The conference will have two content areas, “Meaning and Making” and “Community and Collaboration.” Visit the conference website to learn more about the event, to check travel and hotel information, and to become an MACAA member. 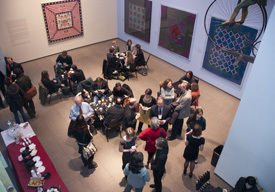 From November 7 to 10, 2012, Ohio State University and Columbus College of Art and Design in Ohio will host “Granting Permission“ the fortieth annual conference of the National Council of Arts Administrators (NCAA). The event will focus on a reexamination of the importance of arts and art education as professionals face “occasions piled high with difficulty.” The conference will also spotlight current trends in arts administration; offer forums, speakers, and workshops; and create opportunities to network within a diverse community of higher-education arts professionals. You can expect top-notch speakers, timely and forward-looking sessions, an engaging administrator’s workshop, and much more. NCAA enthusiastically welcomes new members and any interested parties to its events. 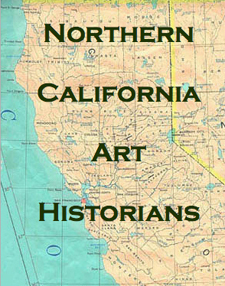 The Northern California Art Historians (NCAH) has inaugurated an annual travel award for promising emerging scholars. Cheyanne Cortez, a master’s degree candidate at San José State University in California, received the award in recognition of her paper, “The Ladies’ American Girl: Delineating an Age through the Ladies Home Journal,” presented at the Women in Magazines conference held at Kingston University in London, June 22–23, 2012. The NCAH gives its sincere thanks to the anonymous donor who generously contributed $300 for this year’s award. Public Art Dialogue (PAD) has announced Penny Balkin Bach as the 2013 recipient of the PAD award in recognition of her longstanding and continuing contributions to the field of public art. Join the dialogue with PAD’s newest awardee at the 2013 CAA Annual Conference in New York. More information will be available soon. Public Art Dialogue is now accepting submissions for its upcoming special issue, “Memorials: The Culture of Remembrance.” This issue seeks to explore memorials in regard to their range of subjects, various formal and conceptual strategies, and critical issues pertaining to their study. PAD welcomes submissions that address related topics (except war or peace, covered in the previous issue) from any time period or place. Please see the journal website for guidelines. The submission deadline is September 15, 2012. The Society for Photographic Education (SPE) seeks curators, professors, gallerists, art historians, and scholars to review student and/or professional member portfolios at SPE’s fiftieth annual conference, taking place March 7–10, 2013, in Chicago, Illinois. Portfolio reviewers receive a discounted admission to the four-day event in exchange for their participation. For more information on the conference offerings and to express interest in serving as a portfolio reviewer, please contact SPE. The deadline for portfolio review is November 15, 2012; the deadline for conference registration is February 22, 2013. 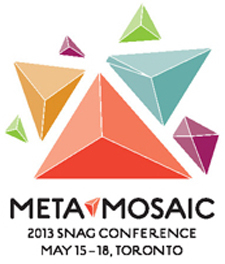 The Society of North American Goldsmiths (SNAG) will hold their forty-second annual conference on May 15–18, 2013, in Toronto, Canada. Titled “Meta-Mosaic,” the event will celebrate the multiple industries within jewelry and metal-smithing in the twenty-first century. Toronto is a mosaic of peoples and cultures as well as the center of Canada’s jewelry industry. This conference will examine a fluid identity within art, craft, and design and inspire attendees to embrace our collective mosaic. Join SNAG for presentations and panels featuring industry luminaries from across the globe, rapid-fire presentations by international designers and artists, and over twenty exhibitions. The sixty-eighth annual meeting of the Southeastern College Art Conference (SECAC), hosted by Meredith College, will be held in historic Durham, North Carolina, from October 17 to 20, 2012. SECAC membership is required to attend and to participate in the conference; registration opened on August 1, 2012. Please visit the website for registration fees, travel and accommodation details, and local information on Durham. Questions? Please contact Beth Mulvaney, conference chair for SECAC 2012. The Women’s Caucus for Art (WCA) will present “Honoring Women’s Rights,” a conference and exhibition in celebration of WCA’s fortieth anniversary, taking place September 7–9, 2012, at the National Steinbeck Center in Salinas, California. The conference will feature a celebrated roster of speakers and panelists, including Malissa Feruzzi Shriver, California Arts Council chair, as well as Louise Bernikow, Sandra Fluke, Judy Baca, Flo Oy Wong, Kim Abeles, Ani Zonneveld, Emelia Fuentes Grant, Enid Blader, Geri Montano, Jane Schonberger, Laurie Frank, Linda Bynoe, Marta Donayre, Martha Richards, Melanie Cervantes, Pia Guerrero, and Thea Iberall. The speakers will cover a wide range of topics related to art, activism, and women’s rights. Works of art were juried by Ruth Weisberg, Joyce Aiken, and Patricia Rodriguez and will remain on view through November 25, 2012. Michael Corris, professor of art and chair of the Division of Art in the Meadows School of the Arts at Southern Methodist University in Dallas, Texas, has been appointed reviews editor of Art Journal. He will serve one year as reviews editor designate, taking over from Howard Singerman of the University of Virginia in July 2013. As both an artist and an author of many works on postwar and contemporary art and theory, Corris is looking forward to bringing new voices and perspectives into the conversation that surrounds the literature of art. For Corris this means a thorough investigation into myriad ways in which scholars and artists are reading art history today, both inside the classroom and in the larger art world. He writes, “I’d like to know what artists are reading and why; what goes into the construction of a bibliography for students at all levels; and how technology and social media alter the way we reflect critically on art and culture. In short, how the dialogue on art is authorized, shaped, and sustained through all sorts of textual means.” The social reality of art making and writing about art has always been present in Corris’s work. In his new role as reviews editor he is committed to seeking out non-Western art practices and those that merge with political activism. Concurrent with his position at Art Journal, Corris will remain an editor at Transmission Annual, a peer-reviewed journal of contemporary art and culture, cofounded in 2008 with Sharon Kivland and Jaspar Joseph-Lester, both professors at Sheffield Hallam University in England. “We came up with the idea to publish an annual collection of essays, structured correspondence, and artist’s projects that revisited the themes of the school’s weekly artist and theorist lecture series, while allowing academics the luxury to experiment with forms of exposition. Our first issue was based on the theme of hospitality, the second on the theme of provocation, and the third on the theme of catastrophe. We anticipate a fourth issue on the theme of agency, so you see there is a glimmer of reality amongst the poetry.” Corris hopes his Transmission Annual experience will inspire new formats for Art Journal devoted to the critical review of literature on art. Corris received a BA from Brooklyn College, City University of New York, in 1970. Two years later he earned an MFA in painting and media from the Hoffberger School of Painting at Maryland Institute College of Art in Baltimore, and later was awarded a scholarship to attend the Skowhegan School of Painting and Sculpture in Maine. In 1971 he began participating in the Conceptual-art collective Art & Language (whose transatlantic members included Terry Atkinson, Joseph Kosuth, Mel Ramsden, and Charles Harrison) and contributed to the group’s journal, Art-Language. As a member of the collective, and as a solo artist, Corris has exhibited his artwork in galleries and museums across the United States and abroad, including the Museum of Modern Art and the Whitney Museum of American Art, both in New York, and the Victoria and Albert Museum in London. The relationship of writing and language to the visual arts has been a paramount concern of Corris’s throughout his career. His editorial experience began with cofounding the artist-run journals The Fox in 1975 and Red-Herring in 1977. The move from art making into publishing was a natural extension of his essayistic art practice. For Corris, and for the other Art & Language artists, these journals served as “sites of artistic production and were intentionally set in opposition to the values and institutions that sustained a managerial culture of art.” His early essays, such as “The Organization of Culture under Monopoly Capitalism,” published in The Fox in 1976, and “Frameworks and Phantoms,” written with Mel Ramsden for Art-Language in 1973, reflect this radical ethos. Since then Corris has written essays and reviews for Artforum, Art History, and Art Monthly that cover a wide spectrum of artists working today, from Jeff Koons to Alfredo Jaar and Tracey Emin. Corris’s PhD dissertation, completed in 1996 at University College London, formed the basis for a monograph, Ad Reinhardt, published by Reaktion Books in 2008. 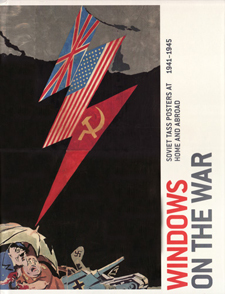 A 2006 winner of the first CAA Publication Grant, the book recontextualizes an overlooked aspect of Reinhardt’s art practice: the political cartoons and illustrations that were published in the 1930s through the 1950s in New Masses and Soviet Russia Today. Corris’s lifelong commitment to the intersection of art and politics is evident in Ad Reinhardt, as well as in two forthcoming books: The Artist Out of Work: Selected Writings on Art (Les Presses du Reel/JRP Ringier) and What Do Artists Know? Art’s Encounter with Philosophy (Reaktion). Corris is also the author of a volume on the painter David Diao, published by TimeZone8 Books in 2005, and coauthor, with John Dixon Hunt and David Lomas, of Art, Word, and Image: 2,000 Years of Visual/Textual Interaction, published by Reaktion in 2010. A selection of Corris’s academic appointments include visiting lecturer in history of art at the Courtauld Institute of Art in London (1999–2001); head of the Department of Art and Photography at the University of Wales, Newport (2003–7); visiting professor of art theory at the Bergen National Academy of Art in Norway (2005–7); and professor of fine art at Art and Design Research Center, Sheffield Hallam University (2007–9).